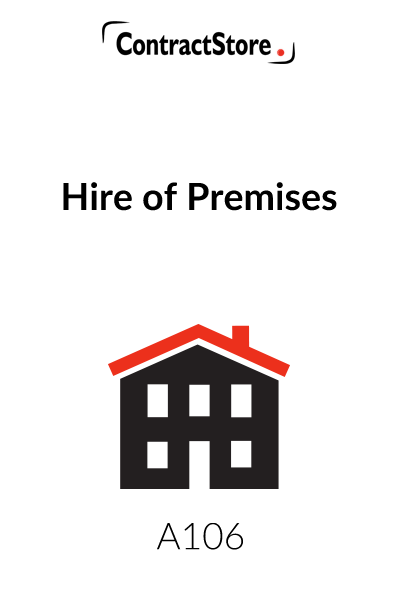 Who can use this Hire of Premises Contract? What is this Hire of Premises Contract for? 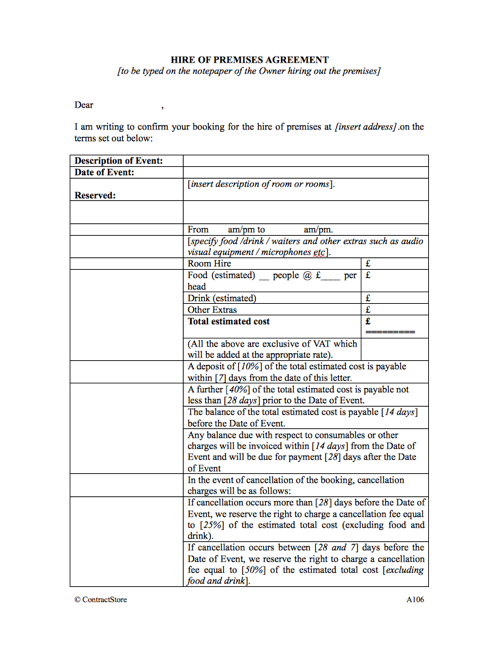 This venue hire contract contains a letter/booking form with all the details for an event to be filled in. There is a separate set of Terms & Conditions which covered general issues with regard to facilities, rules of conduct etc. The main issues of the practical ones: nature of event, timing, number of visitors, price and payment, catering arrangements, special needs etc. these are covered in the booking letter. 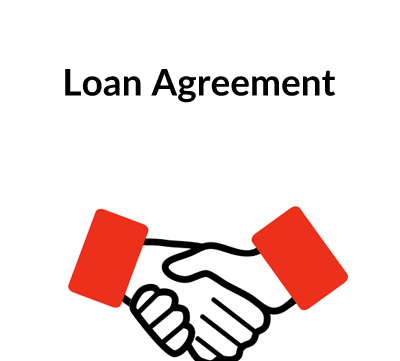 The main contractual terms are designed to protect the owner. Thus, the hirer has to be accurate with the information provided to the owner. Maximum numbers of visitors are also important and proper notification must be given. The terms will say whether or not catering or other services can be arranged by the hirer or whether the owner provides caterers. The risk of cancellation is dealt with, partly by having an initial deposit paid when the booking is made and partly by varying the cancellation charge, depending on how close this is to the time of the event. Rules of conduct for visitors are important, as is the liability of the hirer if damages caused. 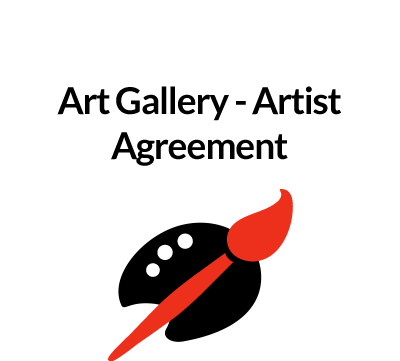 You need this agreement if you intend to hire out your premises for an event. It can also be used if you are the hirer. (B) Terms & Conditions to regulate the arrangements between the owner and the hirer. This template hire contract can be used for a wide range of functions from a seminar to a wedding, a party or a company meeting. 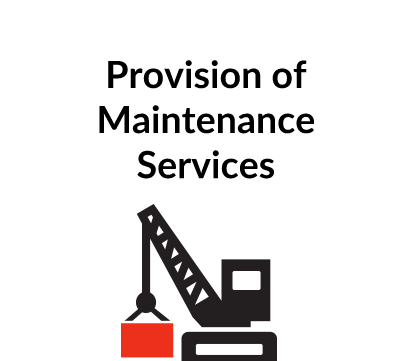 Clearly, the precise details will vary depending upon the type of premises and the events being catered for, but we hope the document provides a structure which can be developed for any use. Matters such as payment terms, cancellation charges etc are clearly going to vary. An agreement in the form of a letter is just as effective as a document headed “Agreement”, provided that it is signed by the sender and then countersigned by the recipient. One thing to watch – if the recipient countersigns but changes some of the terms or sends a covering letter amending some of the terms, that does not constitute an agreement unless those amendments are themselves agreed by the other party. Try to ensure, when you are preparing any agreement, but particularly a letter, that it is countersigned by the other party without any qualifications. Otherwise difficulties can arise. The letter should be sent to the Hirer in duplicate with a copy of the Terms & Conditions attached. The Terms & Conditions are reasonably self-explanatory. As with the form of letter, they may not be appropriate for all circumstances but they give a basic framework.